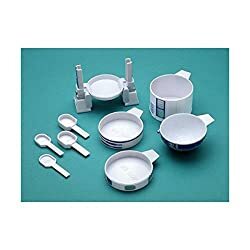 If you’re a Star Wars lover like I am, you’ll absolutely wow your friends with these awesome R2-D2 droid measuring cups. 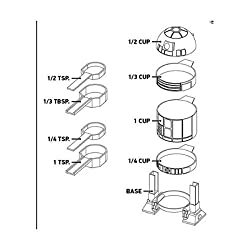 You may not ever use them and just display on your counter because you can’t bear to take poor R2 apart. But he’s definitely a winner in the measuring department. You’ll get all the standard measuring spoon sizes plus the usual ones for dry goods. It’s amazing how they got all those parts into one small droid. And if you’re looking for Star Wars gifts for a big fan, I think this is a great gift. 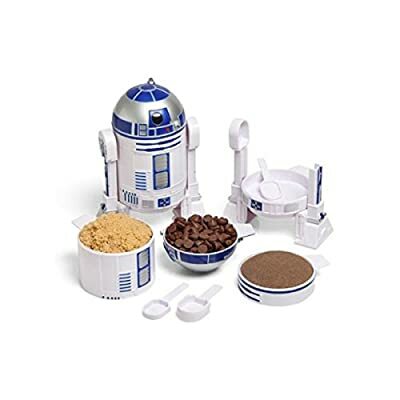 If these are out of stock at Amazon, you can also try ThinkGeek to see if they have R2 in stock.